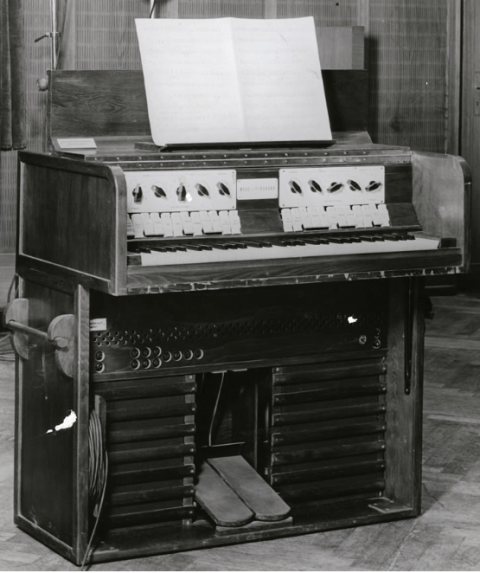 The Polychord Organ was Harald Bode’s first postwar design commissioned by the Bayerischer Rundfunk, Southern German Radio as an electronic organ for live radio broadcasts and was often heard played by the popular organist Fekko von Ompteda and on occasions by Harald Bode himself. The instrument remained in use at Bayerischer Rundfunk from 1950 until 1973 used for in-house productions such as special effects, music for comedy shows, dance music and religious music. 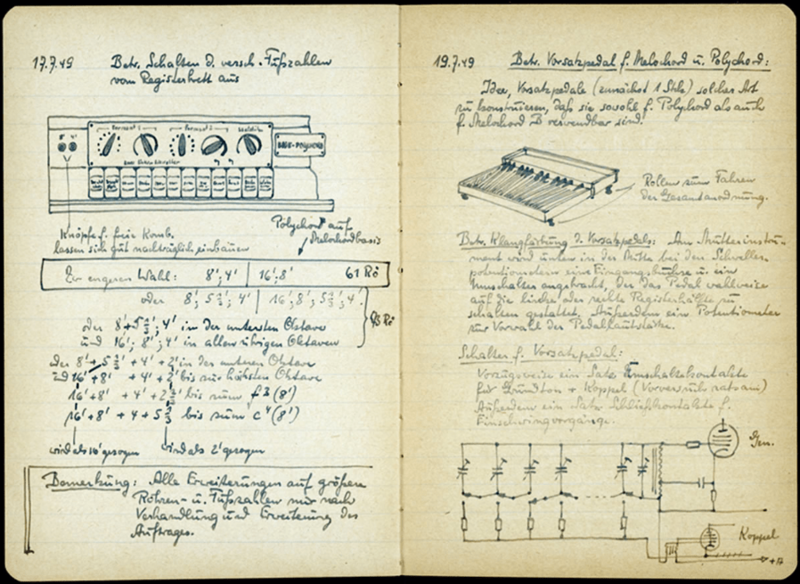 The Polychord was a simpler, polyphonic version of the rather complex Melochord, re-designed with the professional organist in mind; offering a bank of preset sounds as well as free control of sound synthesis. 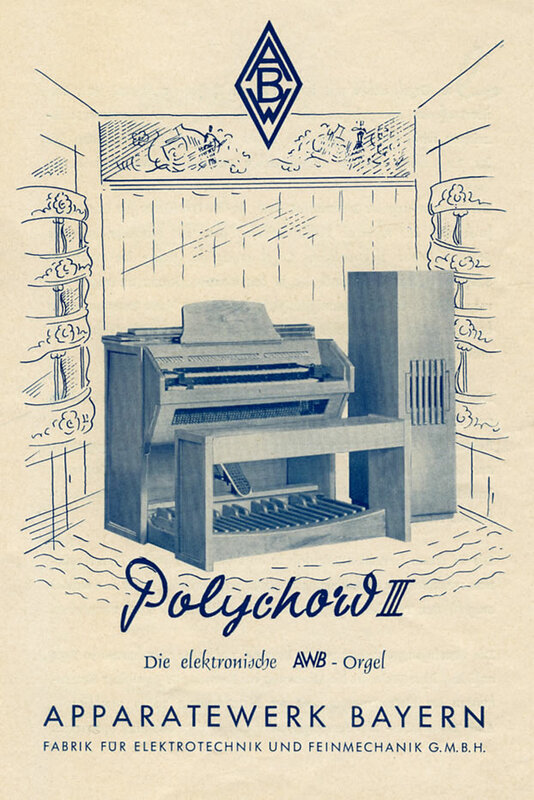 Bode produced a second version, The Polychord III in 1951, produced and marketed by Apparatwerk Bayern gmbh (ABW) company in Bavaria Germany, and the Bode Organ which became the prototype of the Estey Electronic Organ after his departure to the USA in 1954. 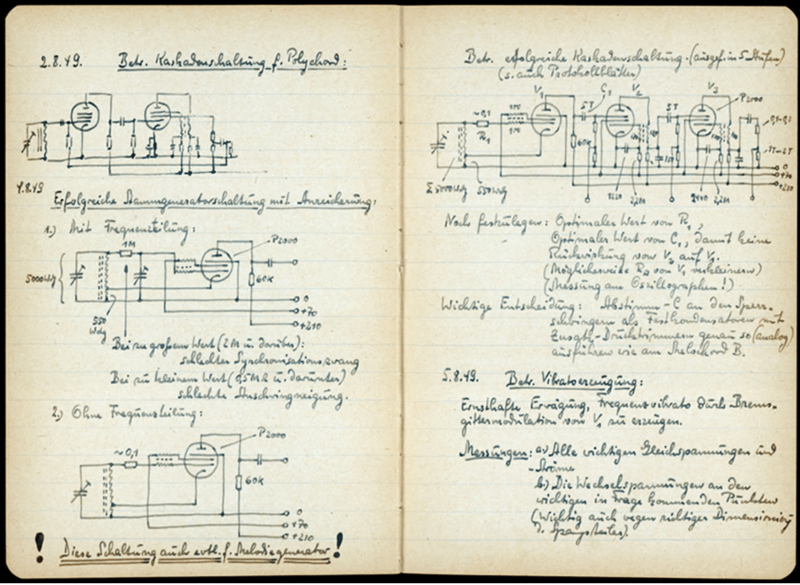 The Bayerischer Rundfunk Polychord can be seen (2014) at the Musical Instruments collection at the Deutsches Museum von Meisterwerken der Naturwissenschaft und Technik in Munich, Germany.